If your horse is heavy on the bit, there could be several things going on. I suggest starting with the physical body first and let your vet properly diagnose your horse. Yes, it's entirely possible it's your riding--but if the horse is doing this consistently and with every rider, it's time for professional intervention. Many times, from my experience, horses root or pull against the bit for several reasons. The rooting and pulling are often times the manifestation or symptom of the actual problem. So what do you do and where do you start looking? 1. Call your vet, always. You might ask yourself, why, it's expensive, shouldn't I just keep riding my horse and try to train through it? Well, yeah if you want to ignore the underlying problem. This can quickly escalate into more frustration for you and the horse and it provides no viable solution. It may lead to your horse becoming sour, developing dangerous behaviors, injury or worse. 2. Check their teeth. Often times if the teeth are sharp, it causes irritation in the horse's mouth and even painful ulcers. Now, imagine your mouth is bothering you and you have a bit in your mouth with the addition of applied pressure from the reins. 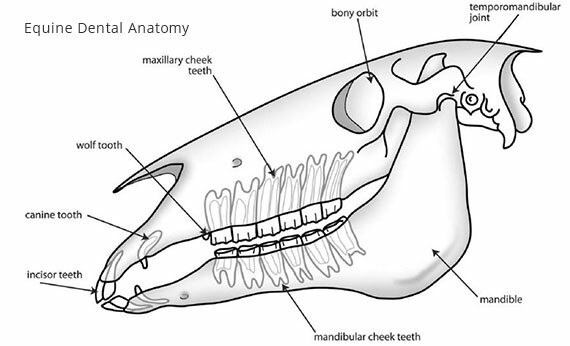 Explain the problem to your equine dentist or vet and have them make a thorough assessment. 3. Change the bit and/or bridle. Maybe the horse doesn't like a particular bit. Sometimes it's that simple. I had a horse that was awful with rooting and would literally pull me out of the saddle. We changed the bit from an elevator to a simple snaffle and the horse was so much happier. Another consideration is the bridle, for example, maybe the horse doesn't like a dropped noseband and would prefer a more traditional fit, or even a more anatomical shaped bridle to alleviate the nerve/pressure points on the face. 4. Massage and Chiropractic. Have a certified and/or licensed professional check the head, neck, and jaw of the horse. Many times the jaw could be misaligned and a chiropractor can help reset it, back it up with massage therapy. When there is structural misalignment the muscles are picking up the slack and the entire jaw, head, and neck are compromised due to this misalignment and can become extremely tight and tense. An effective way to alleviate the muscle tension is through massage. Having a good chiropractor and bodyworker on your roster is essential to your horse's overall well-being. They can not only alleviate problems but help keep your sound through prevention. 5. Test and evaluate. Have an experienced rider get on your horse and observe your horse's behavior. This is a good way to determine if it's actually something you are doing under saddle, either your seat, hands, legs, etc. If the horse is still rooting or pulling, go back to step 1 to get some real answers. Once you have an assessment and/or diagnosis, you have some real choices in dealing with the issue, whether it is, in fact, an underlying physical issue that needs to be addressed or if it's simply your riding. Find this article interesting? 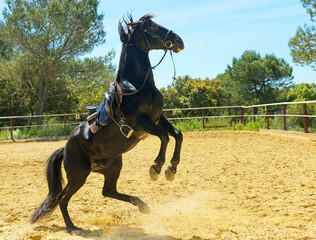 Learn why your horse may be experiencing muscle tension and why it's important to learn some basic techniques you can do for your horse to help release tension and alleviate discomfort. Take the 5-Day Challenge and get FREE access to the "Get Strong and Stretchy" beginner's guide so you can start simple exercises to improve your horse's strength and mobility TODAY. 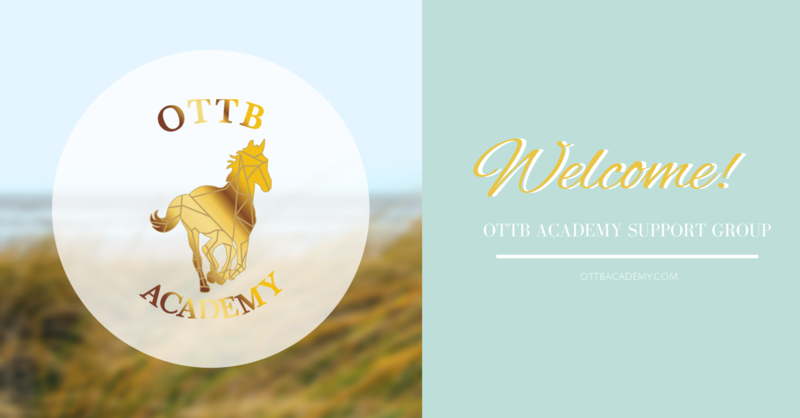 OTTB ACADEMY Is a Support Site for Equestrians Interested in Improving Equine Flexibility, Strength & Mobility Utilizing Holistic Training Techniques and Therapies to Increase Range of Motion With a Special Focus Centered on Biomechanics and Reschooling Off-The-Track-Thoroughbreds. 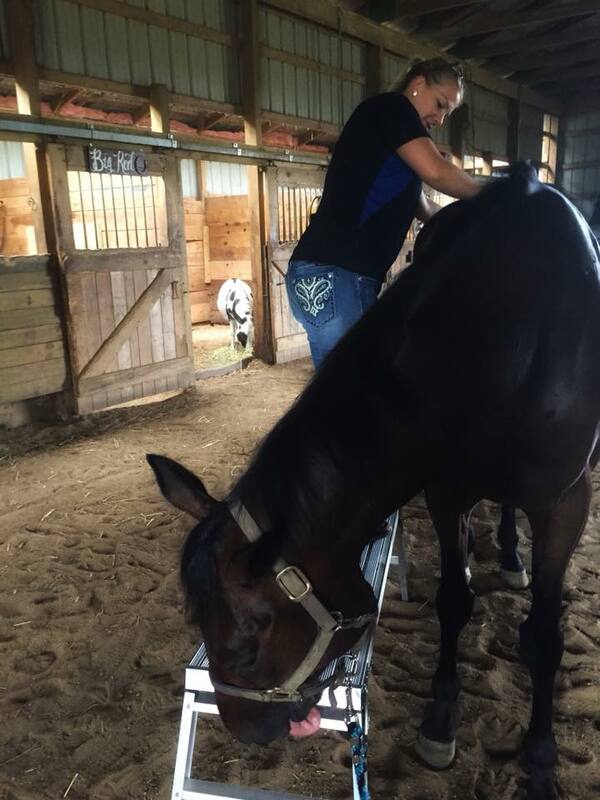 *A Certified Equine Massage Therapist (CEMT), certified movement and mobility specialist, Veterinary Technician does NOT diagnose illness or lameness. Massage therapy is never a substitute for veterinary care. If your equine is experiencing illness or lameness, please consult your veterinarian. Virtual | Global: 1:1 Coaching for Retraining Ex-Racehorses and Custom Designed Equine Conditioning Programs to Increase Strength and Improve Flexibility and Mobility.